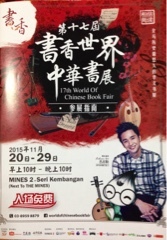 This book fair held from 20/11-29/11/2015, free entrance at MINES 2, next to Mines shopping mall. 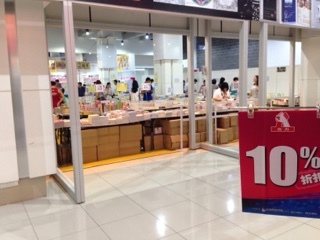 I almost went over to MIECC as usual book fair were always there. 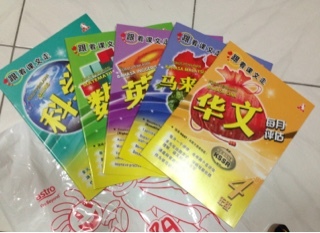 You can park at Mines shopping mall and walk to Mines 2 using the link bridge near Mc.D. 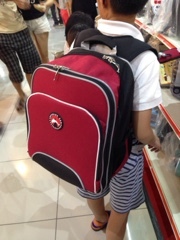 I went there today to check out books, school bags and stationery. 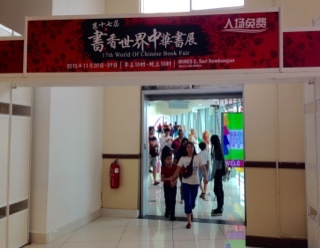 The crowd are quite less and majority book stalls participate are local one, they help to promote local book author's books, oversea Chinese books is very less. 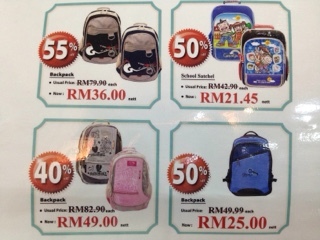 Bought the ZigZag (left) school bag, this is a brand from Univer, a normal padded bag, no back support function. 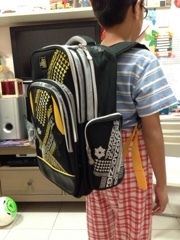 He also try on brand Ababee (right) from Taiwan, design is quite similar to unMe, with back support and price much cheaper. 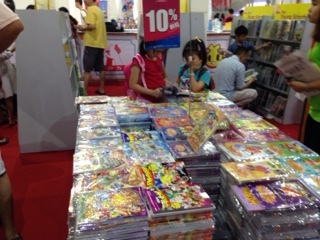 Overall, this is a small scale of book fair, parents you can easily find your kid new schooling year's stuff here instead of hopping to different places to get books, bag, uniform, shoe and stationery.